Looking for a way to put your company in front of thousands of relevant viewers? 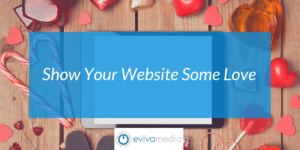 Display advertising with Eviva Media identifies your target market while they are browsing the web doing things like; shopping at their favorite stores, reading up on current events, connecting with friends on social media, and more. This cost effective form of advertising introduces your product or service to new potential customers and keeps you top of mind. All display targeting starts with identifying the geography. It can be based on your service area, around your competitors, any geography identified by a city, county, state, zip code, or even country. Once we’ve set the geographic targeting, there are several ways we can identify and target people online with display advertising. By using keyword targeting, we look to identify relevant pages to serve your ads. Example: If you are a plumber, we can target websites that talk about clogged drains, installing softeners or selling water heaters. If you want to promote an event geared towards families, we can target mommy blogs, keywords such as family events, things to do, even as specific as things to do in your geography. 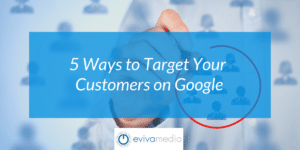 When we use topics targeting, Google has pre-defined groups of websites that all fall under a topic – example: news websites, DIY websites, housing, fashion – there is really a topic for every type of website and for every targeting need. This type of targeting shifts the focus off of the website and onto the viewer. Just like Google grouping websites into topics, Google also groups website visitors into groups based on their interest. Maybe a bride-to-be has been spending extra time on wedding websites. That user would get grouped into a “wedding” interest group and if you are a bridal shop, you could serve your ads in front of that user regardless of which website she is currently visiting. This type of targeting works great for industries that have a strong following: sports, auto, theater, home remodeling, and more. The final targeting we wanted to cover today is demographic targeting. This would be your typical age, gender, and parental status. We can set targets and exclusions based on the type of individual you’d like to reach. The great thing about this is that we can layer the different areas of targeting to pull in your ideal customer. Maybe you want to target men, age 45+, interested in golf, while they are reading the news. We can do that! The best part? We can do this at virtually any budget level. 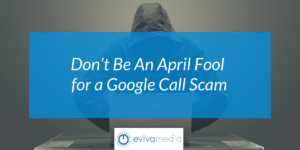 So, connect with us for your custom evaluation and see if display advertising with Eviva Media is the best solution for your business.